Oracle announced major new additions to the SPARC platform that for the first time bring the advanced security, efficiency and simplicity of SPARC to the cloud. Built on the new SPARC S7 microprocessor, the latest additions to the SPARC platform include new cloud services, engineered systems and servers. While the business benefits of the public cloud are increasingly clear, many organizations have yet to move enterprise workloads to the cloud due to performance, security and management concerns. To help eliminate those concerns and enable organizations to confidently move enterprise workloads to the cloud, the new SPARC platform is designed from the ground up to economically improve on cloud computing delivery of the most critical business applications and scale-out application environments. The latest additions to the SPARC platform are built on the revolutionary new 4.27 GHz, 8-core/64-thread SPARC S7 microprocessor with Software in Silicon features such as Silicon Secured Memory and Data Analytics Accelerators, which delivers the industry’s highest per-core efficiency and enables organizations to run applications of all sizes on the SPARC platform at commodity price points. All existing commercial and custom applications will run on the new SPARC enterprise cloud services and solutions unchanged with significant improvements in security, efficiency and simplicity. “We are still in the early phases of cloud computing adoption and as the market matures, organizations will increasingly move critical enterprise workloads to the cloud,” said John Fowler, executive vice president, Systems, Oracle. “To enable our customers to take advantage of this next stage of cloud computing to speed innovation, reduce costs and drive business growth, we are focused on delivering proven enterprise-grade services such as the Oracle SPARC platform in the Oracle Cloud. Each year, Oracle Academy reaches more than 2.6 million students in 106 countries. 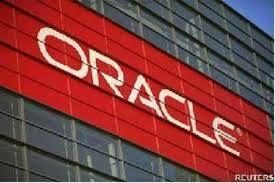 Oracle Brings SPARC to the Cloud 0 out of 5 based on 0 ratings. 0 user reviews.